GSWC 2013 will be held Friday October 4th, 2013 in the Corwin Pavillion. Corwin Pavillion is located to the side of UCSB's University Center (UCEN). It can be found in the center of this campus map with the entrance on the eastern side of the UCEN building. The nearest Parking lot for the event is Parking lot 3 located just to the north-east right of the Corwin Pavillion, but it can fill up quickly so arrive early. A special Thanks to all of our supporters for helping ensure that our 8th annual grad student workshop is possible. Mike Brzozowski is a user experience researcher focusing on Google's social products. 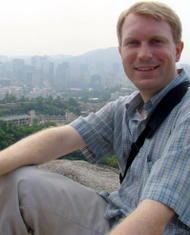 His research interests include social computing and online communities. Previously, he was a research scientist in the Social Computing Lab at HP Labs, and specialized in human-computer interaction in the Stanford Computer Science Department. Online social media offers an unprecedented laboratory to explore social interactions at scale. Yet it's hard to anticipate all the effects of a system with so many actors, and the systems we build are often re-appropriated by end users. To better understand how these systems are used, we employ mixed methods research to combine small-scale observations with large-scale data analysis. I'll provide a few examples of how we integrate quantitative and qualitative methods to better understand our users. Dr. Klaus Schauser is a Founder and Chief Strategist of AppFolio, a fast growing Software-as-a-Service Startup in Santa Barbara that raised $30M of VC funding. AppFolio creates complete, easy-to-use, business solutions for multiple vertical markets. 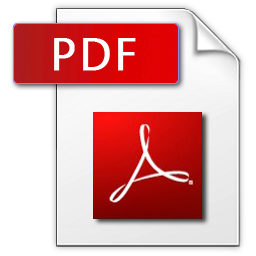 Products include the SecureDocs secure virtual data rooms for financial events and corporate archiving, the MyCase web-based legal practice management software, and the AppFolio Property Manager web-based property management software. Klaus brings his enthusiasm, leadership and experience to the team. When he’s not sharing his vision, validating new product offers or setting the strategy you can find him outdoors hiking or stand-up paddleboarding, enjoying the beauty of Santa Barbara. Klaus was a Founder and CTO of Expertcity/CitrixOnline from 1999 through 2006 and was the visionary behind GoToMyPC, GoToAssist, and GoToMeeting. He led the teams responsible for building the products and their secure, reliable Software-as-a-Service (SaaS) infrastructure. As a Professor of Computer Science at the University of California, Santa Barbara, Klaus is a widely published research scientist with extensive experience developing scalable, highly parallel computing environments. Klaus holds a Ph.D. from the University of California, Berkeley and has received numerous academic awards. Luca Foschini is a co-founder of AchieveMint, a platform that uses data analytics on people's activities to incentivize healthy behavior. His focus at AchieveMint is on data science and mobile integration. 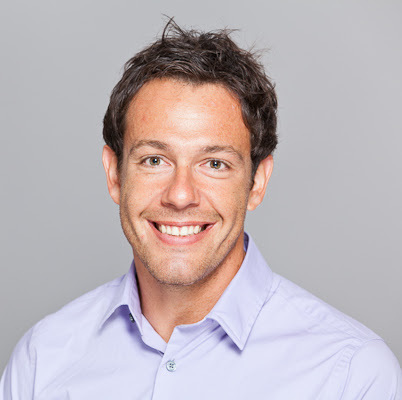 Luca earned a Ph.D. in Computer Science from UC Santa Barbara where he developed efficient algorithms for routing in road networks under heavy traffic conditions, which earned him the Dean's Fellowship and internships at Google Research and the ETH Zurich. He also holds a Master in Engineering from the University of Pisa, and is an alumnus of the Sant'Anna School of Advanced Studies. In a previous life, Luca accumulated 5 years of industry experience at Ask.com, Google, and the CERN, and was a coach of the Italian national team participating in the International Olympiad in Informatics (IOI). 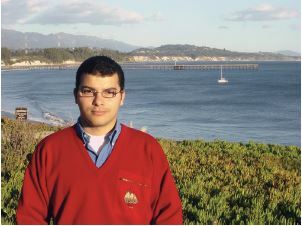 Ahmed Metwally holds a M.S and a Ph.D. from UC Santa Barbara, and a B.S. from Alexandria University, all in Computer Science. His main interests are designing scalable data analysis algorithms for emerging architectures, traffic stream analysis, and clustering, with an application to abuse detection. Ahmed has been with Google for five years working on traffic anomaly detection. 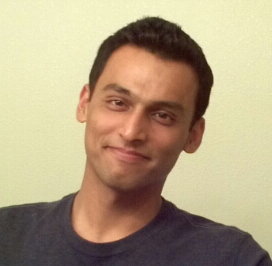 “Siddharth is a Software Engineer with Qualcomm Research working on Context-Aware computing. Prior to this, he was part of the protocol stack team for the broadcast technology (MediaFLO) division of Qualcomm. He got his masters in CS from SUNY at Buffalo with a major in Artificial Intelligence.